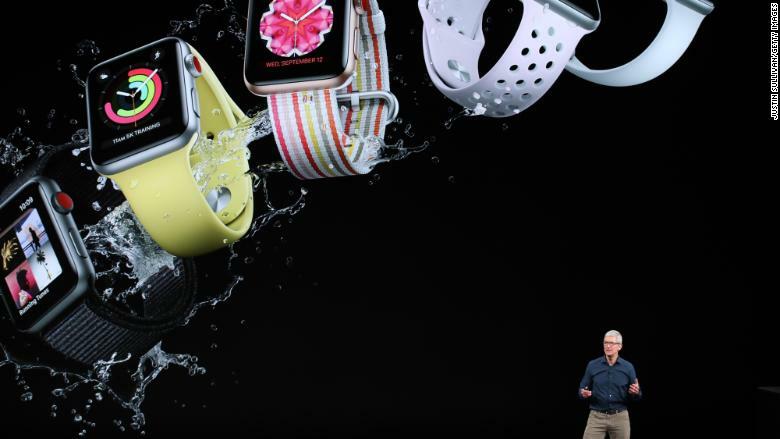 The new Apple Watch is showing up the latest iPhones. September is typically the time for Apple fans to ooh and ahh over the latest smartphones -- and the iPhone XS and iPhone XS Max are indeed worthy upgrades. But the real showstopper this year is the smartwatch: It's faster, more functional and could literally save your life. The Apple Watch Series 4, which hits stores on Friday, represents the watch's first major redesign since its 2015 debut. Tucked into a more attractive design -- including slightly rounded corners, a slimmer body and 30% more screen space to tap tiny icons and texts -- this new Apple Watch is also a health-tracking powerhouse. The wearable comes with a handful of features aimed at a whole new demographic: the elderly. One new tool, for example, recognizes when a user falls and automatically sends a notification to their emergency contact. It's also the first wearable with a built-in ECG monitor available over the counter. The feature has been cleared by the FDA so it can be used as a medical device. The ECG's software will be activated in the United States later this year. Apple hasn't said whether it'll come to devices globally. Apple CEO Tim Cookspeaks during an event at the Steve Jobs Theater at Apple Park on September 12, 2018 in Cupertino, California. The watch starts at $399 for a 40mm model and $429 for the slightly larger 44mm version. That starting price bumps up to $499 for cellular connectivity. (The Series 3 started at $329). While the Series 4 price tag is higher, experts say Apple's features could modernize hospital and geriatric care, and even assist field-service workers in dangerous environments. The company put the smartwatch through a series of intensive tests, including one designed to train it to distinguish between a delicate plop onto the bed and a hard fall on the floor. 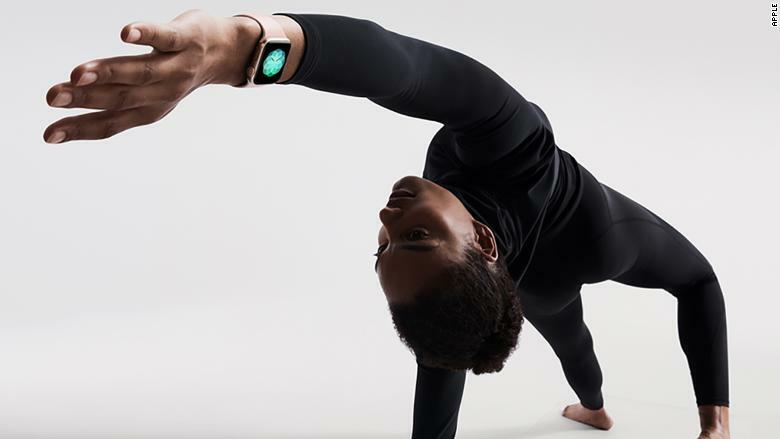 "By making this feature available on the latest watch, Apple stands to displace existing fall-detection equipment in many verticals," said market analysis firm IDC's Jitesh Ubrani, acknowledging brands like Life Alert. "I have no doubt the new Apple Watch will make patient monitoring much easier and far more regular." That's because people will be more likely to show off (and keep on) a cool-looking Apple Watch compared to a traditional medical device. Weston Henderek, director of the NPD Group, says the ECG functionality could one day help diagnose conditions such as atrial fibrillation, an irregular heartbeat. Users can create long-term running logs of ECGs that can be shared with their doctors over time. The new features are notable, but Henderek cautions the role of the Apple Watch as a true medical device is still a work in progress. 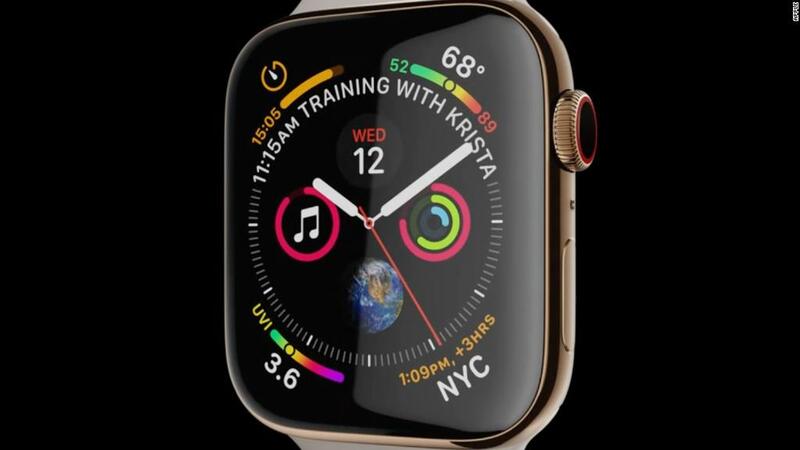 "The space will not be truly revolutionized until additional medical tracking functionality, such as blood glucose and blood pressure monitoring, are added to devices like the Apple Watch," Weston said. Meanwhile, Fitbit -- Apple's biggest wearables competitor -- is also thinking ahead. In August, Fitbit unveiled its Charge 3 tracker with a Sp02 sensor, shorthand for peripheral capillary oxygen saturation, that measures blood-oxygen levels. Coupled with Fitbit's heart-rate tracker and sleep monitoring, this trifecta provides a solid snapshot of overall health. Although the Fitbit lacks the Series 4's fall detection and ECG monitoring, it's also a fraction of the cost at $149. Apple Watch continues to lag behind competitors in sleep tracking, a feature Apple omitted. The Series 4 can't afford to shave any hours off its battery life, which is about 18 hours on a charge. Meanwhile, Fitbit's Charge 3 lasts for days. As wearables get smarter, companies face a major challenge to educate the public how to properly use their products as medical devices. "Consumers don't really know the difference between FDA 'approval' and 'clearance,'" Ubrani, the IDC analyst, pointed out. Plus, "some of the features are designed for healthy consumers rather than those who already have medical issues. ... It's easy for consumers to conflate the issues and think the Apple Watch will replace a traditional doctor's visit." For now, experts believe users will prioritize staying connected via notifications such as texts, alerts and emails over health tracking. After all, users can now summon Siri with just a raise of the wrist, jump in and out of apps at faster speeds, and enjoy louder and more immersive sound, making it easier to take calls from the device. The Series 4 also comes with new interactive watch faces. But a lack of downloadable custom options is a missed opportunity for developers, Apple and users. Ultimately, however, Apple's greater push into health is its biggest growth opportunity. It will likely appeal to a new demographic, ignite partnerships with health and life insurance companies to offer the device to employees, and roll out internationally. IDC predicts Apple Watch sales will soar more than 38% year-over-year and expects that rate to continue for the next 5 years, largely because of the device's focus on health. "Apple is already the No. 1 player in the smartwatch market by a big margin and has shown very strong growth," NPD Group's Henderek said. "But continuing that momentum and finding new ways to grow will become even more challenging." For now, the company hopes you'll splurge on an Apple Watch this holiday season not only for the kids and for yourself -- but for Grandma, too. — Correction: An earlier version of this story inaccurately said that the ECG monitor feature has been given FDA approval. It has received FDA clearance, a less rigorous level of FDA evaluation.